A passenger jet of Lion Air has been involved in another accident, just more than a week after a plane from the Indonesian airline crashed with the loss of all 189 people on board. 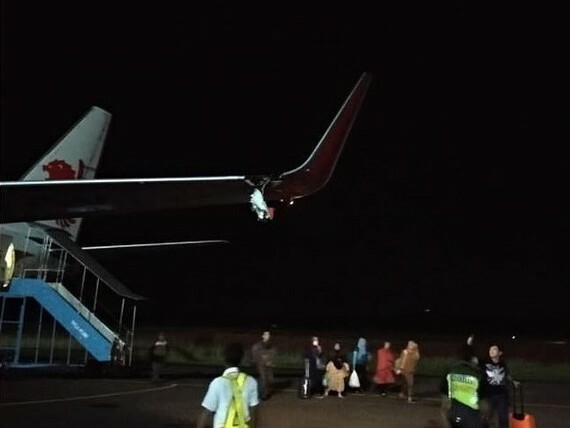 The jet clipped a pole as it taxied to the runway at Bengkulu airport on Sumatra island ahead of its flight to Jakarta. The plane's left wing was visibly damaged, forcing all passengers to disembark and then fly to the capital aboard a different aircraft. He added that the plane and the pilot have been grounded for investigation. A passenger jet of Lion Air has been involved in another accident just more than a week after a plane from the Indonesian airline crashed with the loss of all 189 people on board.